While significant studies exist revealing how young female cancer patients feel about future fertility and impact of cancer treatment on fertility, little is known about fertility perception in the healthy, female adolescent population. Researchers from the University of South Florida aimed to find out just how healthy young females perceived fertility in terms of cancer. The study was published in the Journal of Adolescent Health. Two focus groups were created for the study – ages 12 to 14 and ages 15 to 19. 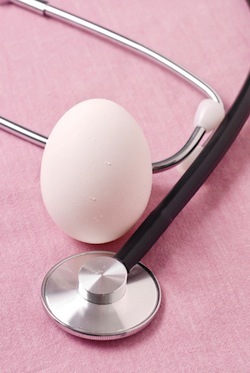 Both groups were concerned about the impact of cancer treatment on fertility. Other areas of concern included cancer heredity and how cancer-treatment related infertility would affect future life. Researchers noted the older group preferred open-ended questions. Conclusion: Young women of all ages are concerned about how cancer treatments will affect fertility. It is important for doctors to be aware of this concern and the difference in language preference between the two age groups. Source: Quinn GP, Murphy D, Wang H, Sawczyn KK, Knapp C. Having Cancer Does Not Change Wanting a Baby: Healthy Adolescent Girls' Perceptions of Cancer-Related Infertility. J Adolesc Health. 2013 Feb;52(2):164-169. doi: 10.1016/j.jadohealth.2012.05.011.